Popular Church of Christ missionary. Author of two books on his travels to Egypt. 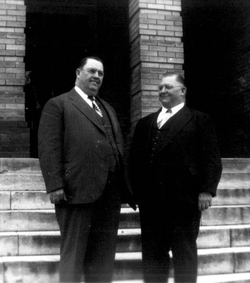 He also spoke at the 1st Annual Freed-Hardeman Bible Lectures in 1937. Find A Grave, database and images (https://www.findagrave.com : accessed ), memorial page for Ira Arthur Douthitt (11 Mar 1891–23 Dec 1975), Find A Grave Memorial no. 8551, citing Lebanon Church of Christ Cemetery, Sedalia, Graves County, Kentucky, USA ; Maintained by Find A Grave (contributor 8) . your computer for Ira Arthur Douthitt memorial. I thought you might like to see a memorial for Ira Arthur Douthitt I found on Findagrave.com.